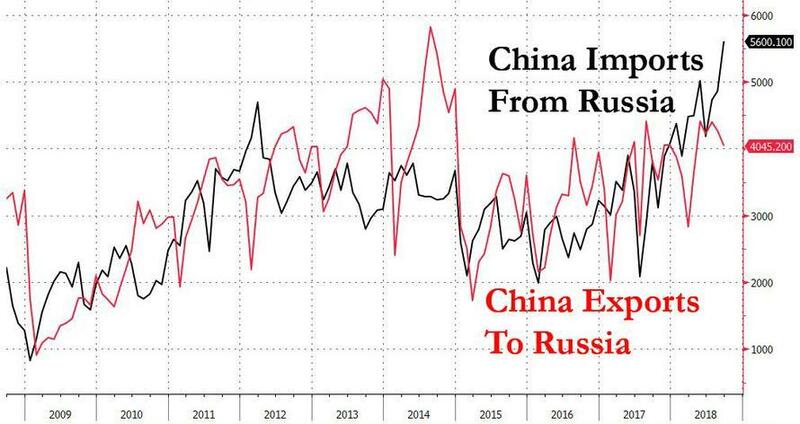 On Friday, one day after Russia and China pledged to reduce their reliance on the dollar by increasing the amount of bilateral trade conducted in rubles and yuan (a goal toward which much progress has already been made over the past three years), Russia's Central Bank provided the latest update on Moscow's alternative to US-dominated international payments network SWIFT. Moscow started working on the project back in 2014, when international sanctions over Russia's annexation of Crimea inspired fears that the country's largest banks would soon be cut off from SWIFT which, though it's based in Belgium and claims to be politically neutral, is effectively controlled by the US Treasury. And now, eight months after a senior Russian official advised that "our banks are ready to turn off SWIFT," it appears the system has reached another milestone in its development: It's ready to take on international partners in the quest to de-dollarize and end the US's leverage over the international financial system. A Russian official advised that non-residents will begin joining the system "this year," according to RT. "Non-residents will start connecting to us this year. People are already turning to us," said First Deputy Governor of the Central Bank of Russia Olga Skorobogatova. Earlier, the official said that by using the alternative payment system foreign firms would be able to do business with sanctioned Russian companies. Turkey, China, India and others are among the countries that might be interested in a SWIFT alternative, as Russian President Vladimir Putin pointed out in a speech earlier this month, the US's willingness to blithely sanction countries from Iran to Venezuela and beyond will eventually rebound on the US economy by undermining the dollar's status as the world's reserve currency. To be sure, the Russians aren't the only ones building a SWIFT alternative to help avoid US sanctions. Russia and China, along with the European Union are launching an interbank payments network known as the Special Purpose Vehicle to help companies pursue "legitimate business with Iran" in defiance of US sanctions. 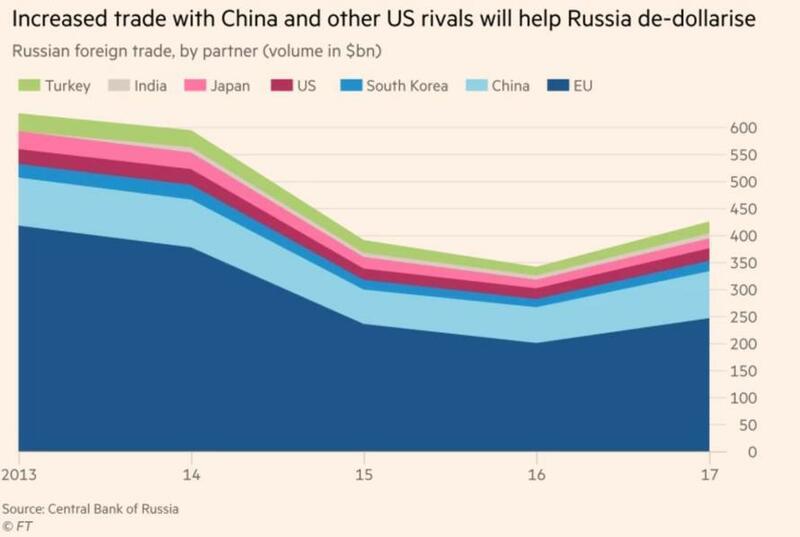 And as Russian trade with other US rivals increases, Moscow's payments network will look increasingly attractive, particularly if buyers of Russian crude have no other alternatives to pay for their goods.